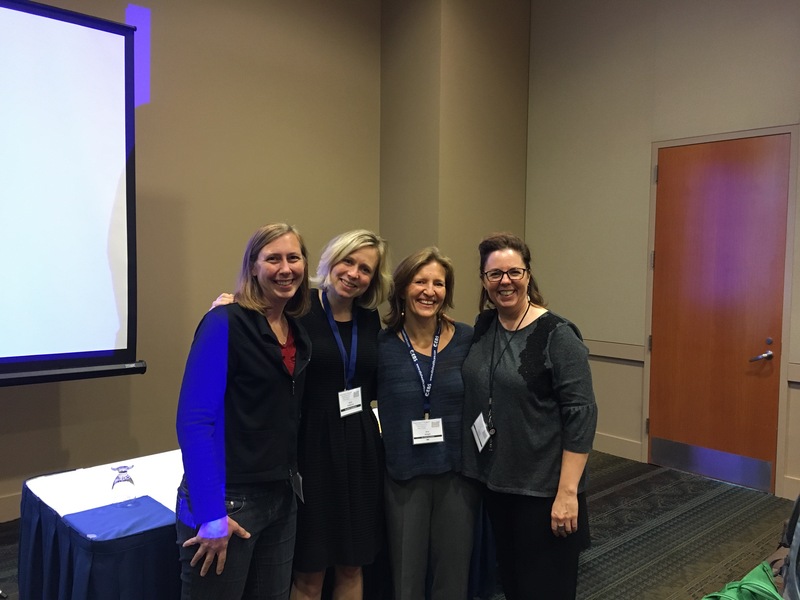 Our very own Kira Wright and Jenny Peddicord gave a talk at the Oregon Speech-Language Hearing Association 2016 Annual Conference on the topic of telepractice. They have each been telepractioners in the schools for the past 8 years using our Hello There hybrid service model, and Jenny has also been delivering online services to private-pay clients via The Hello Clinic for 3 years. To say they have a wealth of experience is an understatement! Their presentation was met with appreciation by all who attended, and it was chock-full of techie audience participation and useful information for newbies and veterans alike. What did you enjoy most about presenting? Kira: I enjoyed presenting more than I thought I would. Mostly for the discussions that it led to, before, during and after the actual presentation. 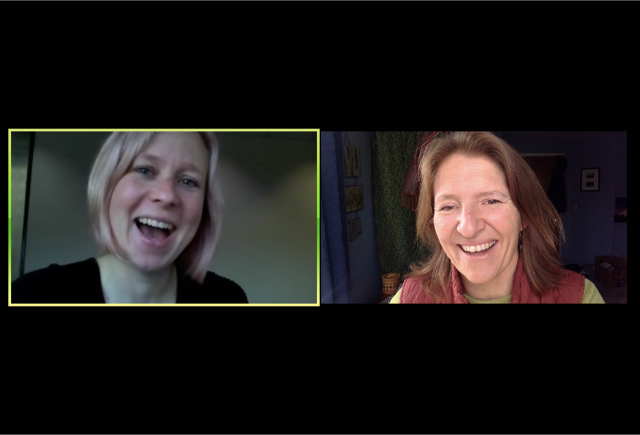 Jenny: I enjoyed being really immersed in the topic and while it was really challenging to make that sure we covered all of the topics and gave people an overview of all things telepractice, it felt empowering to be able to answer questions and help others navigate this topic. Kira: I agree. We were really immersed in the meta level – we were thinking about what we do and why we do it. Jenny: Finding the time to do the research and put the presentation together. Kira: Information is very time sensitive so we had to make sure that we presented current information and therefore create things from scratch. Jenny: One thing that made it more nerve-wracking was presenting in front of peers. Did anything surprise you about presenting? Jenny: I don’t that I was surprised, but realized how big the topic is. Everything from legislation to platforms. Kira: I do think there was value to a broad overview, but we could have narrowed our focus. Maybe for future presentations. Jenny: I think people would like more time spent on how to do the actual therapy, strategies, and resources. Kira: Yes, I would do it again. Though, the nature of the presentation would mean that even 6 months down the road, we would have to update things and account for changes. Jenny: Yeah, shockingly, I think so. In the week leading up to it, we were both regretting it, but it was rewarding. Kira: I do think it has changed the way I think about some of the things I’m doing currently. Kira: It’s allowed me to have different conversations with people, specifically around HIPAA and FERPA, and other ways to be compliant besides just choosing the right video streaming platform. Jenny: Yes, the discussions within the presentation helped us understand all the different ways telepractice is used and how compliance is managed across settings. Jenny: we should take our show on the road and find another conference. Do you think anyone would be interested? Kira: In this ever-changing landscape, there’s always something new to talk about. Jenny: Thanks again for presenting with me, Kira. I know you were cursing my name during the long hours of prep, but…you’re welcome. Thank you, ladies, for being such dedicated advocates for best practices in this rapidly-changing-sometimes-challenging-always-rewarding area of our field! We’re so proud of you and pleased to have you on the Hello team.